Writers from Charles Dickens to Emily Dickenson have spread the word about the wonder of birds, and so will this appealingly novel creation, combining storybook charm with durable cypress construction designed for real-world use year after year. You’ll have a Dickens of a time wondering how you and your birds ever lived without it! This is a large cute very well contructed quality wood bird house that will last a lifetime. It has a great old world antique rustic look. 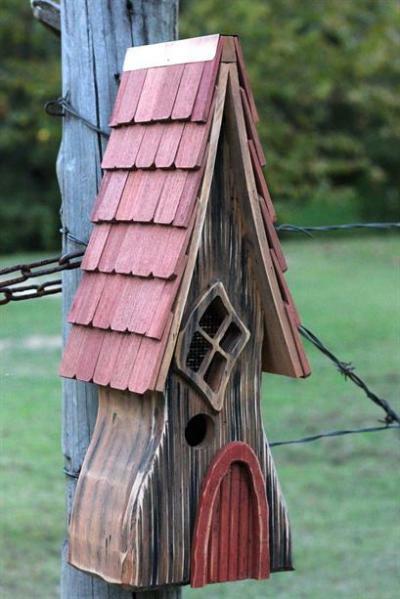 The cute little door and window really add to the charm of this unique and functional bird house. A great gift item for any occasion. Cleanout for convenient cleaning of nesting material.